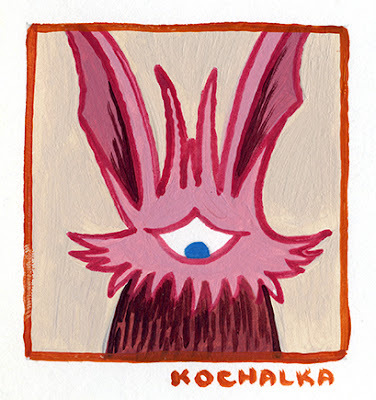 There's a lot of paintings available at the Giant Robot site from James Kochalka. Many of the paintings are filled with odd beasts such as the 4 shown here, check it out. 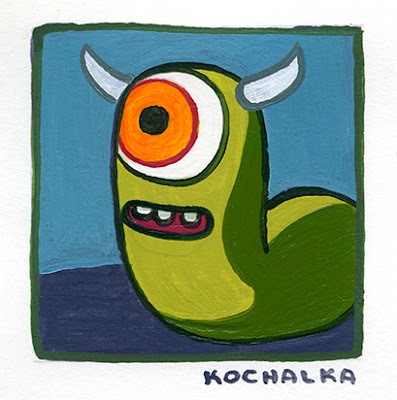 You can visit Kochalka's own site here.